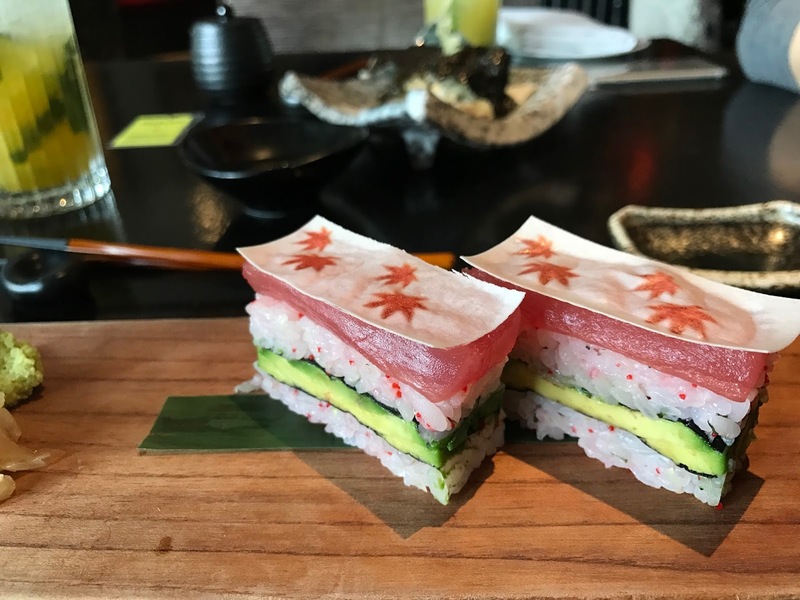 Since Aqua Kyoto is one of those expensive high end restaurants, this really would have made a dent in my pocket had it not been for Bookatable's Star Menu. 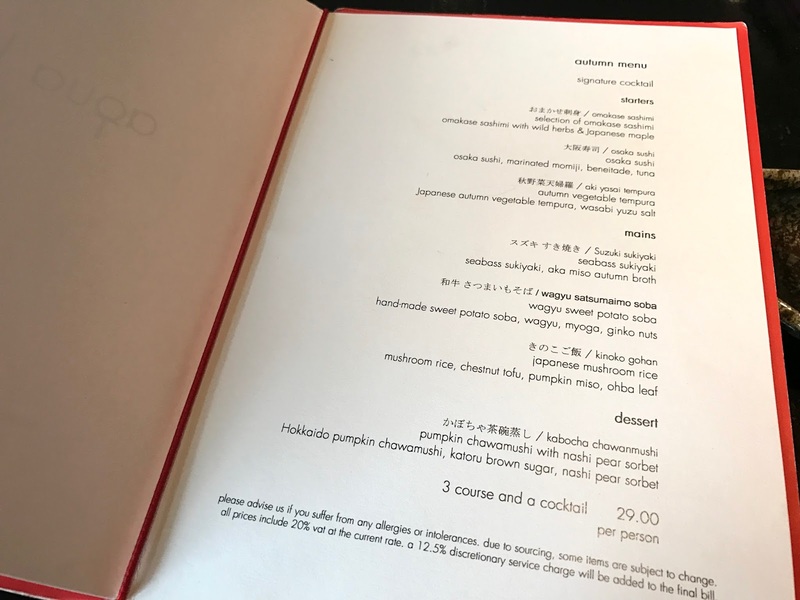 I adore the star menus at Bookatable*, they make restaurants like Aqua Kyoto so much more accessible for everyone. For £29, we got a 3 course menu and a cocktail. We were welcomed to the restaurant by the friendly receptionists and were seated promptly after telling them we had booked through Bookatable. The set menu choices sounded delicious so I couldn't wait to try the food. First to start is a non alcoholic cocktail for both sis and I. 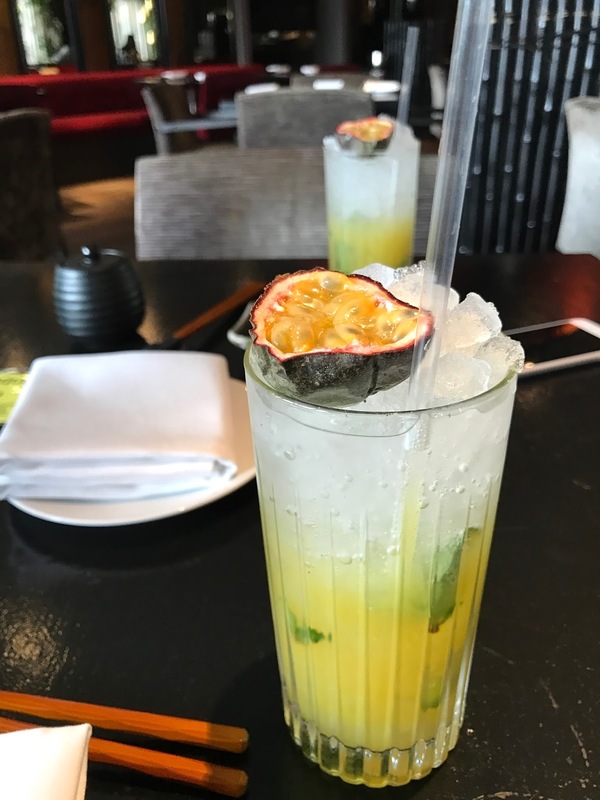 This passionfruit mojito was a bit too sharp and tangy for my liking but sis enjoyed it. My starter of Osaka sushi just looked so incredibly beautiful! The waitress came over to 'spray' an Autumn maple essence over the sushi too, so the theatrics was definitely there. The essence didn't really add much to the flavour, so it was more a fun element to this starter. This was super fresh and tasty, I only wished there had been more as the portions were tiny. Sis's Autumn vegetables tempura was divine, especially the crispy deep fried seaweed. There was a mild flavour to the tempura batter and it added some taste to an otherwise bland plate of fried vegetables. The maple leaf and shiso leaf were so pretty to look at too. Presentation on the dishes have been stunning so far. For the mains, we ordered the wagyu sweet potato soba and the Japanese mushroom rice. We both had a bit of each other's mains to compare flavours. Both were very nice to start off with but as we kept digging, the flavours just got a bit same same and flat. 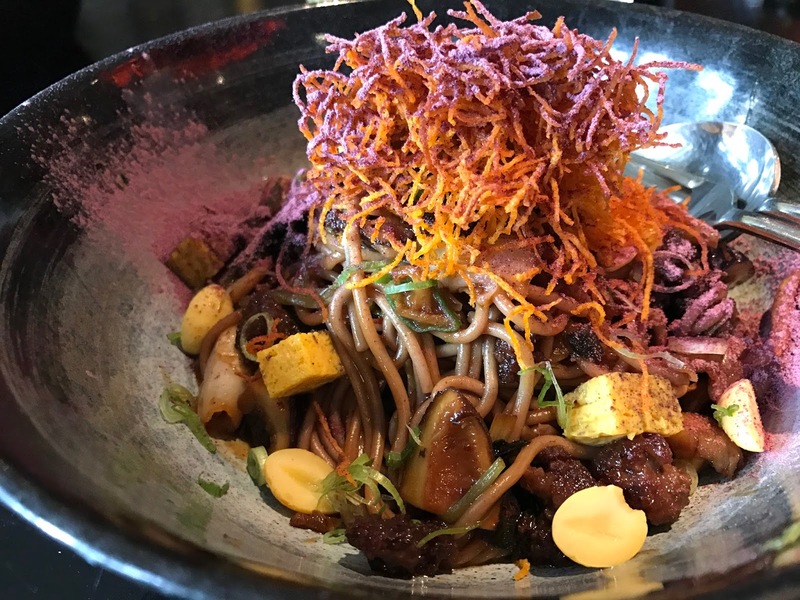 The wagyu and soba noodles were drenched in a slightly imbalanced sauce leaning to the sweet side and as the waygu had been pre-charred it could have been any old beef. I didn't feel that they showcased the waygu very well in this dish. 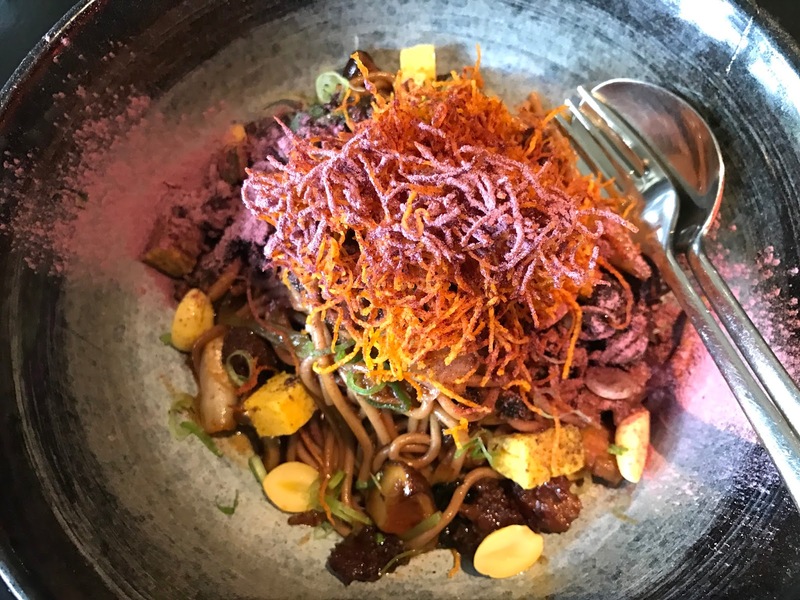 The crispy noodles on top was an excellent contrast to the softer noodles, but I'm not sure the plum-looking powder on top was necessary. The mushroom rice was like a risotto. It was gentle yet rich in flavour of the mixed mushrooms and one of better risottos I've eaten since I'm not usually a fan. 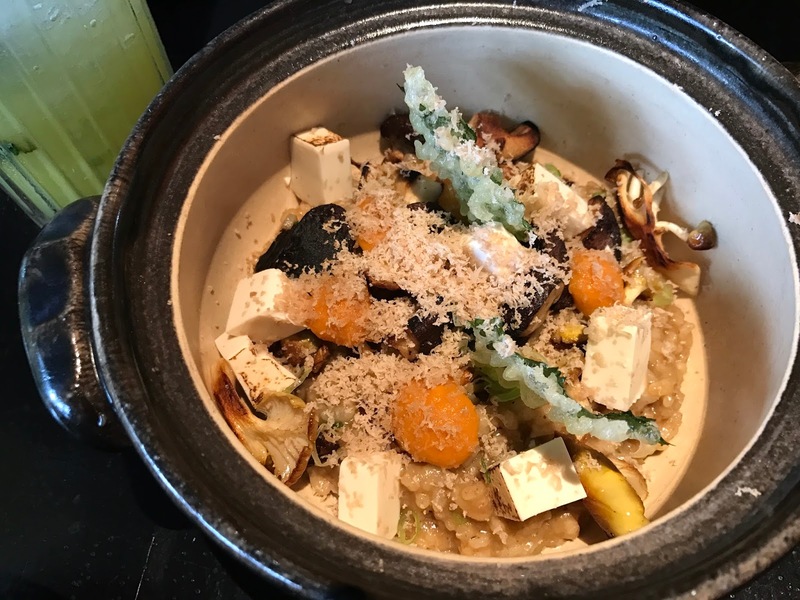 However, adding tofu was strange as it served no flavour or textural purpose, and the pumpkin puree was an odd choice to make given that the rice was already a soft texture. 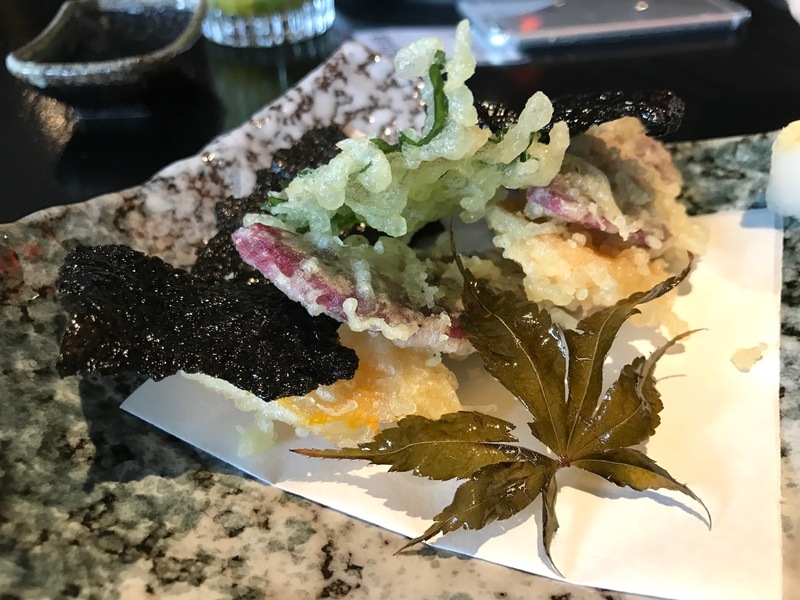 The shiso leaf tempura was a welcome addition though, perhaps it just needed a little more. Pumpkin chawanmushi sounded super exciting on the menu but was unfortunately quite odd in reality. The steamed egg chawanmushi with pumpkin puree was not silky like it ought to be and it was overly eggy to taste. 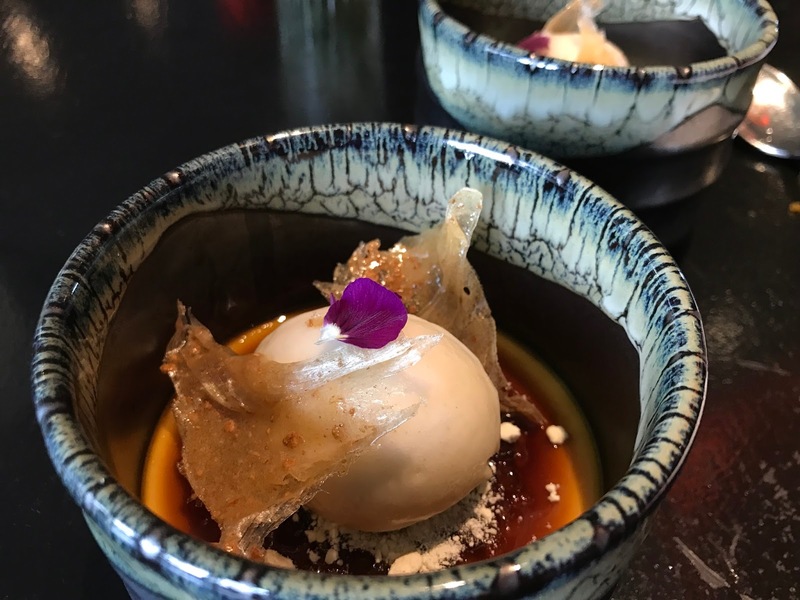 The nashi pear (or Asian pear) sorbet was quite nice on it's own, along with the brown sugar and crunchy spun sugar but it just didn't work together with the pumpkin chawanmushi. Far too many flavours and textures going on resulting in a confusing dessert. 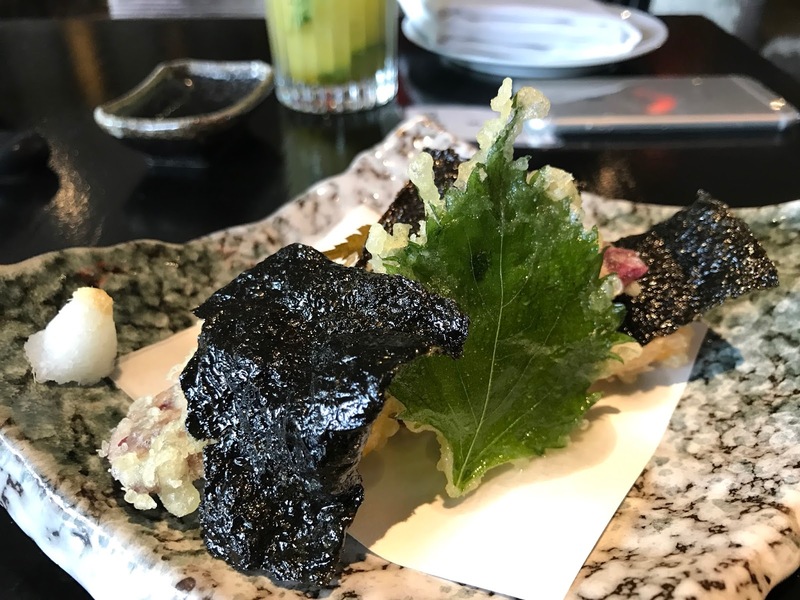 Food wise, Aqua Kyoto is not authentic Japanese, and some of the dishes were too unsuccessfully inventive on the palette. The food is presented in the most beautiful way so it was a real shame it didn't live up to the same expectations in the taste department. It also seems that depending on when you go, you get different menus and I think Mandy got a better deal than I did. Service was good to start with and our waitress was perfectly lovely, but the rest of the staff serving the floor looked like they didn't want to be there. No smiles or interactions with us as they brought the food over, which in a high end establishment like Aqua Kyoto just isn't acceptable. 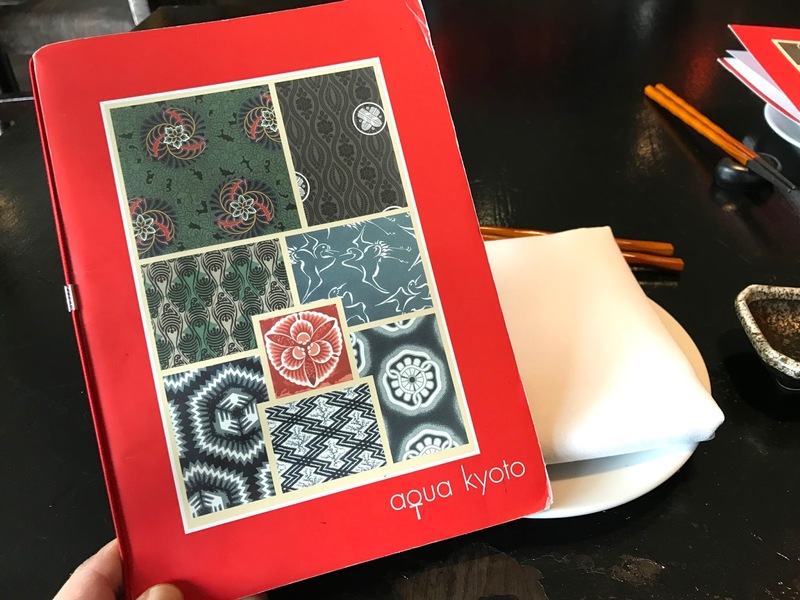 Overall, we enjoyed ourselves but Aqua Kyoto is only worth going on a deal like Booktable's Star Menu.